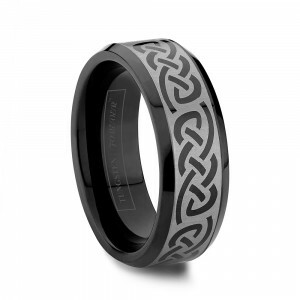 The future of men's jewelry is black wedding bands & rings. 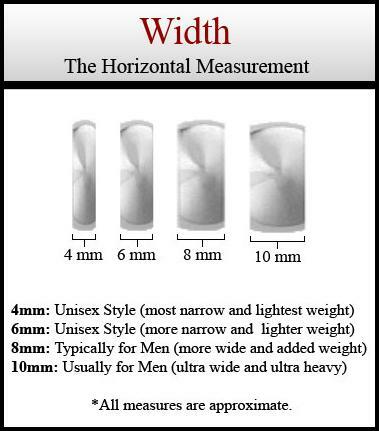 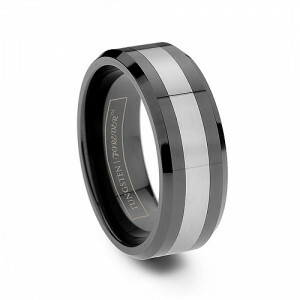 With tungsten carbide rings forged in tradition and refined using Read more...the latest technology, these women's and men's black tungsten wedding bands provide the sheer strength and durability of tungsten combined with the power and sophistication which this color symbolizes. 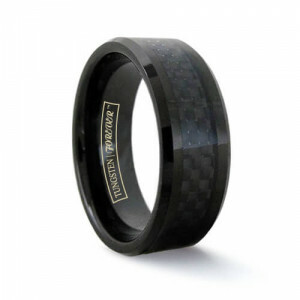 We have a wide selection of black tungsten rings for men; solid color, two tone, black carbon fiber ring and black diamond rings to choose from. 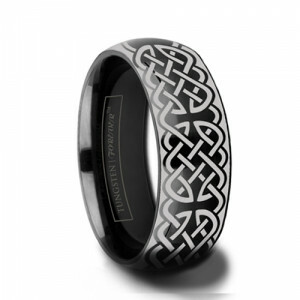 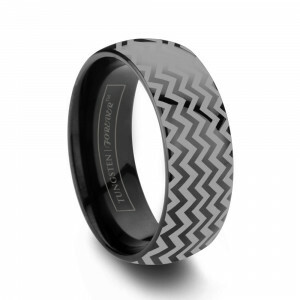 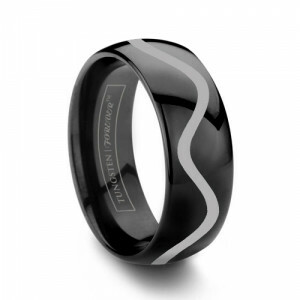 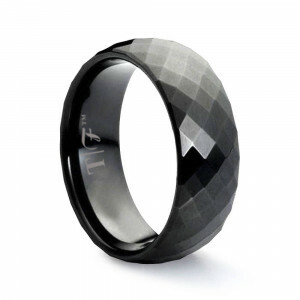 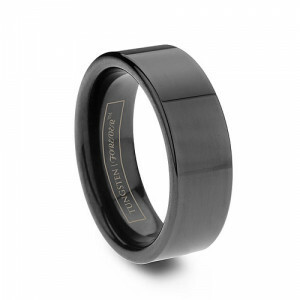 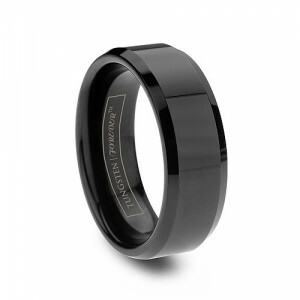 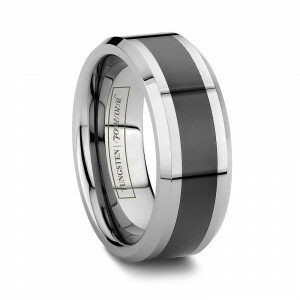 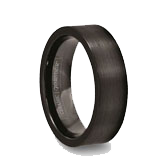 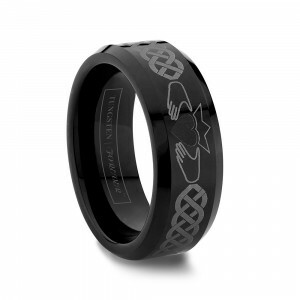 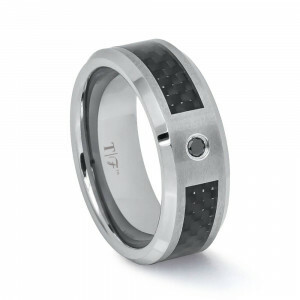 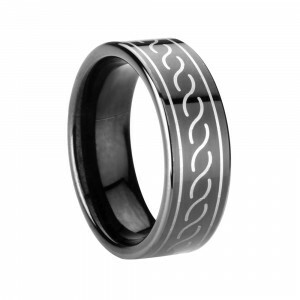 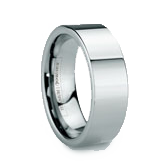 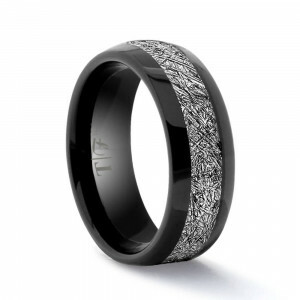 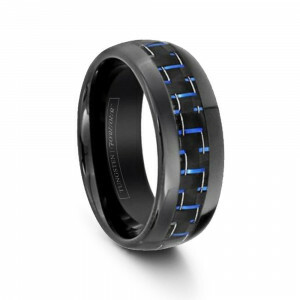 Black wedding bands provide the sheer strength and durability of tungsten combined with power and sophistication. 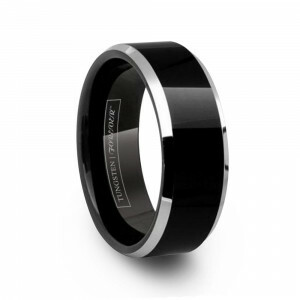 We have solid style black tungsten carbide wedding bands and new: two tone. 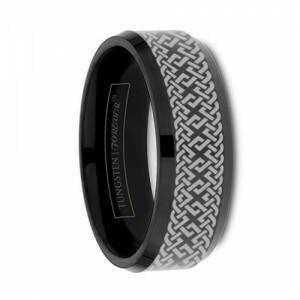 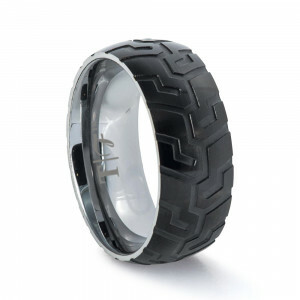 The black wedding rings two toned combine the polish of tungsten, making for an elegant and modern style. 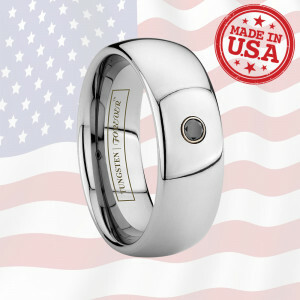 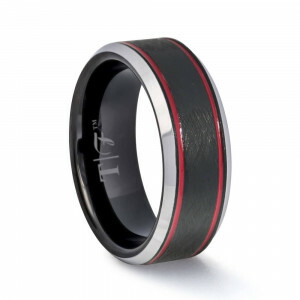 The two tone rings have ceramic tungsten jewelry inlays and are available in 6mm and 8mm tungsten ring sizes. It is said that this color signifies modernity, power, sophistication, formality, elegance, wealth, mystery, and style. 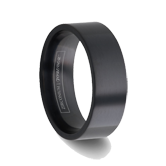 These qualities combined with tungsten carbide make the perfect women's or men's black tungsten rings / tungsten engagement rings. 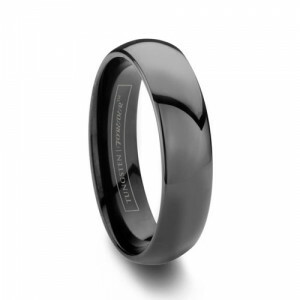 There are different types of black wedding bands including solid color, two tone, grooved tungsten wedding bands, polished tungsten carbide wedding bands, and more. Of course all of our rings are comfort fit bands, meaning they are rounded on the inside for a more comfortable and luxurious feel. 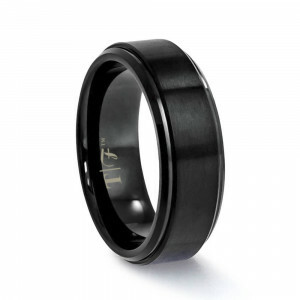 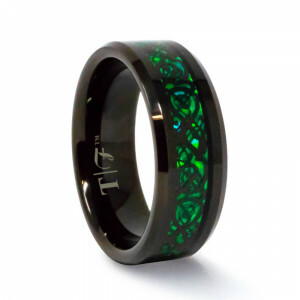 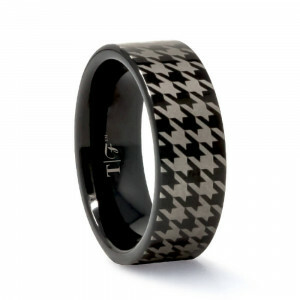 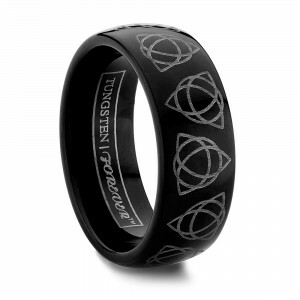 Check out an article about black tungsten rings: bold and trendy. 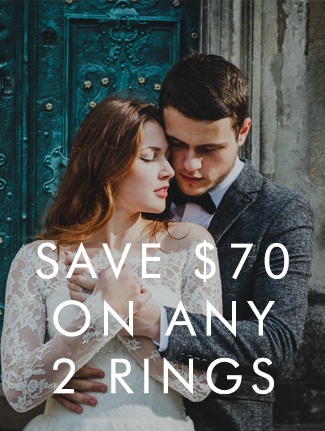 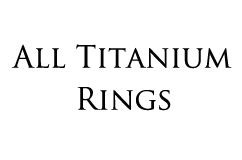 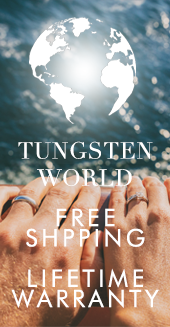 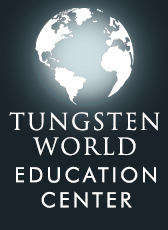 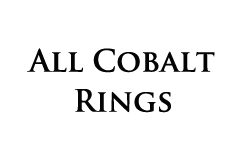 As always, when shopping as Tungsten World you can rest assured you are receiving only the highest quality designer tungsten wedding bands with the best possible service period.